I want to share a short but important update with everyone here at NovelPitch. I had the opportunity to talk with Rebecca Heyman, the director of The Work Conference about their upcoming event in March of 2016 and they have provided Novel Pitch with a wonderful special offer, but you need to act now. You don’t want to miss out on this! What is The Work Conference you ask? Great question! This is the inaugural year of a boutique writer’s conference designed to put 30 un-agented writers together with a handful of the best agents and editors in the industry for an intensive weekend focused. This is not a pitch conference, but a deluxe master class for folks who are ready to query. There is so much more to say about The Work that I have two additional posts coming out about this conference in the next few weeks, but since they provided such a special discount I wanted to get that out to you all first. So tell me about the discount! Patience! There are a few more things you need to know first. The Work Conference will be selecting authors based on an application process. The application requires the first ten pages of your manuscript and a query letter. All applications will be reviewed by a professional editor and even if you are not selected you will receive notes on your pages and letter. Let me repeat that. ALL APPLICATIONS WILL BE REVIEWED BY A PROFESSIONAL EDITOR AND WILL RECEIVE NOTES, even if you aren’t invited to join the conference. You get the professional review for the price of your application fee (50$ before the discount). Even if you don’t get into the conference there is a real value for everyone who applies. The Work Conference has provided Novel Pitch with a $10 discount for all applications. You must use the link below to receive this discount. In addition, if you apply before November 15 and are invited to attend you will receive an additional discount of $150 off the total cost of the conference. Here is the link to the Discount. Get those applications in by November 15th, and good luck! Novel Pitch was lucky to connect with Mackenzie Brady Watson a literary agent at New Leaf Literary & Media Inc. to talk about BinderCon. This is a writer’s conference in New York City, November 7-8, is unlike most you have seen. READ TO THE BOTTOM FOR A NOVEL PITCH EXCLUSIVE OFFER! Novel Pitch: Tell me a little about the history of BINDERCON. What was the catalyst to start this conference and what has been its recent history? Makenzie Brady Watson: In summer 2014, BinderCon founders Leigh Stein and Lux Alptraum met in a Facebook group for women and gender non-conforming writers. Inspired by the community they found online, they decided to bring that energy to an in person event: and so, after an incredibly successful Kickstarter campaign, the first BinderCon took place in New York in October 2014. Referencing Mitt Romney’s “binders full of women” comment, BinderCon is a chance for women and gender non-conforming writers to get out of the binders and into the bylines, bookstores, box office, writers’ rooms, and wherever else writers are able to make a living. NP: There are a large number of writer’s conferences in NYC each year. What makes this event unique and why should a new writer consider attending? MBW: BinderCon has always considered including marginalized populations (including, but not limited to: POC, low-income writers, gender non-conforming or trans people, disabled writers, etc) a high priority. Our strategies include strategically partnering with organizations that serve to represent the voices of marginalized communities, such as VONA and the OpEd Project, and regularly applying for grants that allow us to provide stipends to marginalized populations (thanks to a grant from the Esmond Harmsworth Foundation, we’re able to provide stipends to trans and gender non-conforming writers who attend the conference this fall, we are also offering childcare stipends to enable more mothers to attend). Additionally, each conference we offer up to fifty scholarships, many of which go to writers of color and low income writers who would not otherwise be able to attend; we also secure enough sponsorship to cover much of the cost of the event, allowing us to keep ticket prices at an affordable level (it should be noted that tickets do not cover most of the weekend long events costs). In contrast to AWP, the largest creative writing conference in the country, we offer comped admission to all speakers – which allows for a more diverse collection of speakers; in our year long history, we’ve been successful at ensuring our panels offer a multi-faceted representation of diversity, including race and ethnicity, sexual orientation, parental status, disability. NP: Your event features Speed Pitch Sessions. They are listed as 10 Minute One on One sessions with Editors and Agents. Tell me more about the format of your event and what writers can expect from the session. MBW: One of our main goals for the conference as a whole is to provide the attendees with industry knowledge, networking opportunities, and a series of actionable steps that they can perform after leaving the conference that will (hopefully) serve them as they build their careers. This is certainly true for the speed pitching event. Attendees have a chance to sign up to meet with specific editors and agents based on their bios and pitch “wish lists”, and during those meetings, attendees have ten minutes to talk about what they have written, what they want to write, and how that might fit with the editor or agent across the table. They also have the opportunity to ask questions about the industry at large or find out more about that specific agent or editor. It’s also a great chance to simply get to know more people in the business. Not all attendees will be able to sell a story or get an agent right away, but they will learn how to refine their pitches based on the agents’ and editors’ feedback and create the beginning of a relationship that could serve them very well down the line. NP: Who are some of the Agents and Editors that you attract to BinderCon and what they are looking for? MBW: We have a diverse group of agents and editor this year representing a variety of print and online magazines, book publishers, and agencies both small and large. Some focus on publishing short, personal stories, others are commissioning feature length articles on international topics. The agents represent everything from children’s picture books to Young Adult novels, upmarket adult fiction to academic non-fiction. For more on each agent and editor, please see the sign up page. MBW: After taking Lisa Selin Davis’s personal essay workshop at BinderCon 2014, Julienne Grey wrote and placed an essay about her mother’s death in the New York Times. Jennifer Pardini met the editor of Modern Loss at BinderCon LA, and has an essay forthcoming on the site. NP: How does BinderCon fit with the WE NEED DIVERSE BOOKS movement and other efforts towards diversity in publishing? Are you seeing or feeling a groundswell in publishing around these issues, or are we on the foothills of a long climb? MBW: As mentioned, we’ve made it a priority to include as many diverse speakers as possible through the programming we offer and encourage more diversity among our attendees by offering scholarships and stipends that benefit marginalized groups. We share a similar mission with WNDB – who hosted a panel at our first conference – as we, too, want to help increase the number of diverse stories that get published each year and also the diversity of the writers publishing them. NP: If I am an author who can’t attend your event, but am inspired by your efforts how else might I participate? MBW: We’re pleased to say that all of the keynotes and many of the panels will be streamed live as they occur and the rest of the panels will be available in an online video archive after the event. It’s our hope that anyone who can’t attend in person can still benefit from the programming. Streaming information will be available at nyc.bindercon.com closer to the conference. NP: What is one piece of advice you would give to an aspiring author who is planning to attend BinderCon? MBW: BinderCon offers a very varied programming schedule with many sessions happening simultaneously. So, in order to get the most out of the weekend, I’d recommend evaluating the schedule ahead of time and creating a timeline of your own based on your particular needs and interests. I’d also recommend making the most of the organic conversations that will crop up with fellow attendees, panelists. workshop leaders, and conference organizers, etc. We hope that many attendees will leave with at least a few professional contacts if not a whole host of new writerly friends. NP: Is there anything else you would like to add about BINDERCON specifically or on pitching in general? MBW: Be open. Be open to meeting new people, to hearing new writing and pitching techniques, to trying new writing styles and methods, to new career paths, to sharing your own stories. We hope you have a marvelous time. And also please let us know if/how we can make the conference even better next year! Mackenzie Brady Watson is a literary agent with New Leaf Literary and the programming chair for this year’s BinderCon. She has worked in publishing for over five years and represents a mix of YA and adult literary fiction and non-fiction for all ages. You can find her on Twitter at @mackenziecbrady or in person at BinderCon! To find out about other writers conferences, and pitch opportunities take a look at the Pitch Opportunity page. Be sure to sign onto the mailing list to hear about future Novel Pitch Exclusive offers! My main character’s most fearsome obsession is Missing a Pitch Opportunity! I almost missed this one. Thanks to C.M. McCoy for bringing it to my attention! You can find out details for the event at Michelle4Laughs blog. I’ve reposted her details here for convenience, but please check her site for regular updates. I’ll be stalking the #NoQS twitter handle too this Thursday! The submission window opens at 4:00 pm (EST) on October 15th. Don’t send too soon or your entry will be deleted. There will be email confirmation. The window will close when we receive 250 entries. Michelle and Mike will make twenty picks each, and those twenty picks will go up on our blogs from October 29th through the 30th. Before this, there will be a mentor round to whip that entry into shape. We’ve already got amazing mentors lined up, so know that your entries will be polished for the agents. We are accepting all age categories and genres, excluding picture books and erotica. But be sure to check our list of agents when it goes live to see if they represent your book’s genre. If you plan on participating in the contest, you have to be following all our blogs (Michelle, Mike). And you’ll want to be on twitter for the party. What is your main character’s most fearsome obsession? Here’s how it should be formatted (yes, include the bolded and everything!). Please use Times New Roman (or equivalent), 12 pt font, and put spaces between paragraphs. No indents or tabs are needed. Here is my fantastic query! DO NOT INCLUDE BIO OR COMPS PARAGRAPH. Try to stay in the 250-300 word range. Please put spaces between paragraphs and don’t indent. And that’s it! Send in that email during the submission window and you’re ready to go. There will be a confirmation email. We’re Tweeting under the hashtag #NoQS. As before, we’ll have a twitter party once submission starts. Mentor and agent posts will follow before October 15th. PS If you know about a pitch opportunity and you DON’T see it on the Pitch Opportunity page, PLEASE send me a note. I am happy to get the word out about twitter pitch contests, conference pitch slams or other opportunities as they come up. Remember it is all about writers helping writers. I’m going to Pitchapalooza on October 25th. Want to come along? Every once in a while an opportunity drops into your lap that is too perfect. There I’ve jinxed it already. Now that I’ve gotten that out of the way, I want to tell you about an upcoming pitch opportunity that I am going to be attending. The Book Doctors; Arielle Eckstut and David Henry Sterry, are hosting a Pitchapalooza at the Montclair Public Library in Montclair NJ on Sunday October 25th at 2:00 PM. Not only am I excited to see them in action (I am admittedly a fanboy of these two publishing rockstars) but they are going to be as close to my hometown as I can reasonably expect! JERSEY ROCKS! I will be going, both to pitch my own work and to support some other writer friends who will pitching theirs. If you are on the fence about going let me explain why you need to be there. Not only is Pitchapalooza an opportunity to pitch your own work, it is an event where you get to hear other book pitches. One of the things that makes breaking into publishing so hard is that we rarely see or hear the work of others until after it is drafted, rewritten, scrubbed, primped, polished, torched, reborn and edited. When you are in a room full of writers pitching their work you can hear first hand some of the things that are working and some things which still need work. Here is the other reason you should go to Pitchapalooza; It works! I previously featured Gloria Chao and her experience winning this event. You should also read Ylonda Gault Caviness’ story about her book and her experience with Pitchapalooza. Her memoir CHILD PLEASE emerged after winning Pitchapalooza with a pitch for a parenting book, and then working with Arielle. If you decide to go to Pitchapalooza, hit me up! I’ll be going with a few other writer friends and I am always interested in meeting more folks on their publishing journey. I’ll also be writing about my experience at the event and sharing it here on Novel Pitch! If you are interested in sharing your experience there and your pitch, let me know. If you follow me on twitter or follow my blogs, then you probably know about Adult Pitch (more commonly known as #AdPit). And if, you are super stalker-ish, then you know that back in May 2015 #AdPit had a little sister event called Kid Pitch (or more commonly known as #KidPit). What you don’t know is that #AdPit and #KidPit found their cousin, Art Pitch or #ArtPit. Yep! That’s right! I’d like to introduce you to #ArtPit now. It’s a twitter pitch party, yeah I know, there are about a gazillion of these things but – #ArtPit is different. It’s only for author/illustrators, illustrators and/or graphic novelists. Great! Tell me what I have to do to participate. Sure thing! All you have to do is pitch, sometimes called twitching in the twittersphere. I can see your foreheads wrinkling from all the way over here, but it’s okay. Relax and take another hit of caffeine, I’ll explain more. A twitter pitch (a twitch) is a tweet. 140 characters, including the hashtag (in this case #ArtPit) that you can use to grab patrolling agents and editors that search the hashtag on the day of the event. — Wait, wait! Don’t hyperventilate just yet. Check out this practice twitch for my own chapter book, which I’ve authored and illustrated. Now, let me break that pitch down for you. — The words should entice industry professionals into wanting to read more. The hashtag #ArtPit insures that your work is seen on the appropriate twitter timeline. The hashtag #CB is just to help patrolling professionals know that my particular story that I’m pitching is a Chapter Book (hence the CB). And finally, make sure that you allow yourself room to display a sample of the artwork associated with the work that you are hoping to snag a pro’s eye on. A few hashtag samples for your reference. Only pitch completed manuscripts. Any genre and any age range is welcome. Illustrators, just note that you need varying samples of art to post for each of your six posts. Never, ever star or favorite a tweet unless you are an industry professional. If you see a pitch that you like, shot the artist/author an @ mention and let them know. They’ll appreciate it. Refrain from ReTweeting, let’s give everyone an equal chance to be seen. You may pitch once an hour for the duration of the contest. That’s six pitches for the whole day for each manuscript you wish to enter. Yes, this means that you may pitch more than one manuscript, as long as they all meet the requirements. Every twitch must include all the parts; the pitch, the art sample, and both hashtags. Bullying, spamming, and any other types of unprofessional behavior will get you blocked and reported. This contest is open to everyone, no formal invitations will go out. No lists of participants will be posted. Twitter pitch opportunities are not the be all end all. Just because you don’t get a star, doesn’t mean your work isn’t good, I’m sure it’s great! Just remember slush piles are ALWAYS there, and you can query that way too. Mix up your pitches throughout the day, change your pitch, change your art sample. Twitter doesn’t allow carbon copy tweets anyway, so experiment. And besides, interested professionals often click on a profile to see if your have other variations. Always do your research before submitting to anyone. Scams are prevalent, and you should always learn as much as you can about anyone you send your work to. Remember to use the preditors & editors website. If you are unsure about anything, please ask questions. Whether it is to me as the host, or to any requesting professional. Communication is good, just keep it professional and brief. Make sure you have a link to your artist portfolio somewhere in/on your twitter profile page. Share the love. Support your fellow artists. You’re reading this and thinking what do I get out of it, I know it. So, I’ll answer. I get satisfaction. Both of my other two contests/conferences, #AdPit and #KidPit have a high success rate of matching potential bestsellers to the agent/editor of their dreams. Though, I am disheartened by the lack of accessibility for author/illustrators and illustrators to contests. There are multitudes of contests out there for writers, but artists tend to get left a bit behind. I know. I know because I’m an author and an illustrator. I also write non-fiction where I need to draw diagrams and such. I’m well aware that many twitter pitch contests even frown at adding graphics to your twitches in their contests (usually they cry that graphics slow the feed down), but for me, that’s great news. If your art can grab attention where you may slip a bit with the words, then that means you still get noticed. You still have a chance that you may have missed because you weren’t able to get the words just right. As author/illustrators – as artists – as illustrators, we often turn to art because words fail us, I know I do, so it’s time to showcase to the world that artists can excite readers just as much and as easily as writers. Many high-end editors, at the big publishers, say that they often reject picture book/chapter book/and such manuscripts because the words just don’t draw enough of a picture for them – as illustrators too, we have an advantage there, because when our words fail us at being ‘not descriptive enough’ we have our art to back us up. So, come join me on November 17th and let’s make artist history! Calling the mountains of Tennessee home, gives Heidi plenty of fantastic nature places to write by longhand, which is her preferred method. She writes everything by hand first her screenplays and her stories, it’s just more fun. She’s also an illustrator and is trying her hand at a historical horror graphic novel. She’s written mainly middle grade, and written and illustrated a chapter book series about Al Gator’s mysteries in the swamp, and another fun adventure series with Boris the Bear. You can find Heidi lurking on social media when she should be writing/illustrating alot of places – www.twitter.com/hrnorrod, www.facebook.com/heidi.norrod, www.hrnorrod.deviantart.com, www.heidinorrod.webs.com, www.heidinorrod.wordpress.com, and others like LinkdIn and Google+ but those two scare her and she isn’t on there very often. As a BONUS Heidi even provided a sample pitch. A pitch – I have never officially pitched face-to-face – but, I was invited to pitch by email, so I added that one. Rikki marched into church on Sunday not to find God, but to hunt a killer. The murderer was sitting right there in the congregation praying. She was going to find Granny’s killer, and she was going to make sure he or she paid. MURDER ON A SUNDAY is the first book in a planned seven book new adult series introducing Criminology major Rikki Yuan’s mystery solving adventures. 9 Tips for SAVING MONEY on a Writer’s Conference. How can you afford to go to a Writer’s Conference? They are so expensive? It makes it hard for me to go. Do you know any ways to make it cheaper to go to a Conference? I just don’t have the cash. Volunteer. Some conferences are in desperate need of capable hands to staff tables, call presenters, run A/V equipment or other tasks. Volunteer opportunities aren’t always advertised, so call or email the organizers directly to see if you can help in exchange for a volunteer discount. If you have a specific talent that is valuable (Technology inclined, Gargantuan height and strength, Cat herding experience) be sure to mention it. Keep in mind, volunteer opportunities often fill up early too, so the earlier you reach out the better your chances. Scholarships. I wish more conferences did this (did you hear me conference organizers?). Some conferences provide scholarships for their conferences to make them more accessible to a wider range of attendees. One example is BinderCon who sets up free admission for up to 50 writers to attend free of charge. Check individual conference websites or reach out directly to conference organizers to find out more. Apply for a grant. A number of organizations give out travel grants for writers. These can and should be used for events like writer’s conferences. Take a look at FUNDS FOR WRITERS for more information on travel grants. Stay with a friend. The biggest cost for many conferences are the hotels. If you have a friend that lives close to the conference see if you can stay with them. Also if you live close to conference site be sure to pay it forward. Travel with the tribe. If you know other folks who are going to the conference see if you can travel together. You can split the cost of a rental car, share a hotel room or if your group is big enough charter a private jet. Yeah right, writers can’t afford a jet! At the very least you can work together to find the lowest travel costs. Find a sponsor. Perhaps your day job has a client where the conference is occurring. Maybe you can do a client visit while you are traveling for the conference. See if they might split the costs with you. Similarly, maybe your church, scout troop, bowling team or knitting club would be willing to help you differ the costs of a writers conference. Often people are willing, even eager, to help budding artists and if you ask nicely you might find both a sponsor for the conference and a future advocate for your writing. One word of warning, there may be strings attached to a sponsor. Be sure you know what kind of deal you are striking. Pack a sandwich. Yes, this sounds silly, but food costs can be expensive too. You don’t have to eat every meal at the fancy hotel restaurant. You might want to bring a few meals with you, or run to a local grocery or bodega to pick up lower cost breakfast, lunch or snacks. Make the most of your time. While conferences can really lighten your wallet, there is nothing more expensive than wasting your time. When you are at the conference be sure to soak up the learning, network far and wide and make the most of the time that you have paid for. The more you get out of a conference, the higher the value. Do you have some other tips on how to keep costs down? Let’s hear them. Post a comment and I’ll update this post with the best ideas on keeping conference costs down. Q&A – Can I Re-Pitch to the same Agent? You learned something from the experience!!! You are editing your manuscript based on what you learned!!!! Fantastic. Those are important steps that every writer must go through. For anyone who has finished a manuscript and actually pitched it, Bravo! It takes real work to build up enough confidence to get to that point. You should be proud of the effort. When you have come that far and been rejected, it hurts. It hurts more because the higher we climb the further we fall. There is no way around it. Rejection hurts. Still, you haven’t fallen all the way back to the blank page. You aren’t starting from scratch. In fact you’ve only just stumbled, AND you’ve learned from the experience. 1. If you are Re-Pitching the same book, just rewritten, I would advise against it. Even if they were really on the fence and suggested rewrites, I wouldn’t waste my energy re-pitching the same Agent again until you’ve pitched some new Agents. 2. Perhaps there is a different Agent from the same Agency who you want to pitch. You can have at it, but remember the Agents will certainly talk. You may even want to note it in your pitch. Most agencies have a rule that a rejection from one of the agents is a rejection from the whole agency. If that is the case, move on to a different Agent. 3. If you are coming to the table with a totally new project that you think might be a better fit, go for it. You may wind up talking about the old project as well. I would recommend talk about how you have rewritten it based on their comments. Just remember that they may well remember you from your last pitch and that impression, good or bad will stick with you. All in all, I wouldn’t bother pitching the same Agent again until I was on to a new project. My suggestion is to move on. For perspective, there are 2,315 Agents listed on the Publisher’s Marketplace Directory. If you’ve been rejected by one, keep looking there is almost certainly one who is a better fit. 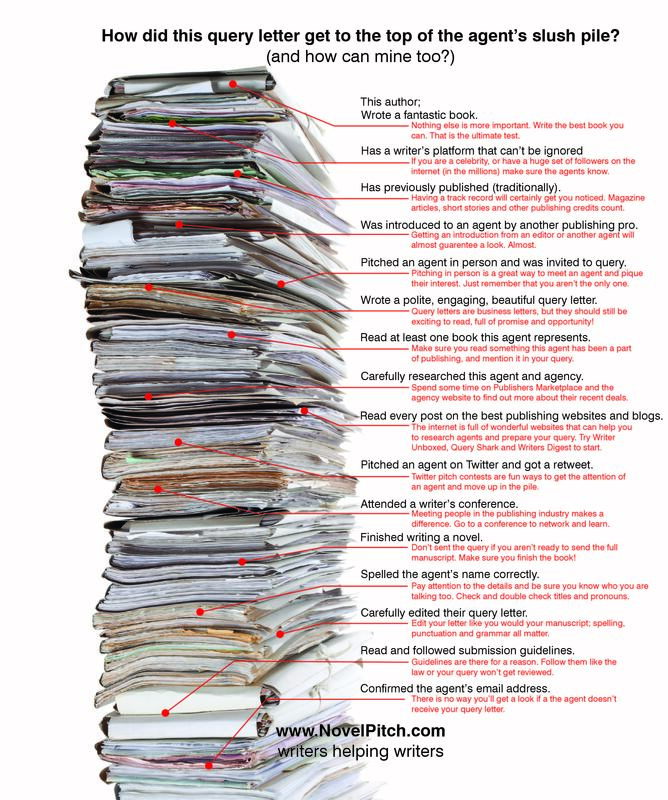 Remember, an Agent isn’t just looking for a book, they are looking for a Writer. As a reminder I’m just a writer like you. I am not an attorney or agent. If you have had a different experience with this type of situation, please share it. It is all about writers helping writers. Thanks for the question! I hope that helps. If anyone has a follow up, feel free to leave it in the comments below or reach out to me via twitter or email. I tracked down Elle McKinney aka ‘the pitch whisperer’ on twitter and we chatted a bit about writing, pitching and geeking out. Novelpitch. HI Elle. Thanks for taking time out of your busy schedule. Looking at your website I can only imagine that you are pulled in a million directions with your own writing, pitch contests, mentoring other writers, life outside of writing, plus all things geek, oh and of course taking care of The Manor. Do you have a ‘typical’ day? What is it like? Elle McKinney. I do have a “typical day” and it is very boring, lol. Outside of random family and friends shenanigans, my days usually starts with a moment of prayer and meditation, then it’s off to the day job. If I’m working the later schedule, then I can maybe get some writing in before hand (Or Netflx, or World of Warcraft). Then I set in to do the writing. Or the plotting. Or the editing. Or the editing for other people! I usually end the day the same way I started, with prayer and then a book. Or an episode of Archer. Danger Zone. NP. Tell me about Pitch Slam! How did this brainchild it come about? What makes this contest different than some of the others out there? EM. Pitch Slam is a…culmination of sorts of all the awesome contents I’ve been privileged to be a part of over the years. Whenever slush readers were tweeting hints and tips, a lot of folks on Twitter lamented that they couldn’t take that advice and then revise and resubmit their entry. Pitch Slam has two rounds that involve receiving feedback on their 35 word pitch and first 250 words of their manuscript. Then Pitch Slammers can make edits and submit those new entries for consideration for the agent round. It’s a lot of work on the back end, but we love this community and we love doing this. So worth it. NP. You’ve been through two Agents. Can you talk about your own pitching / querying experience? In the end what worked? EM. Two agents, yes. The first time around I was in the query trenches for two years I believe. Probably longer, but I can’t really recall. I revised that query letter so many times, it’s not funny. I’ve also entered hundreds of pitch contests, both on blogs and twitter. In the beginning, I didn’t have the best of luck with being chosen, but I enjoyed it so much that I just kept at it. (I enjoyed it so much I started a contest so I could still be part of it all, go figure.) Plus, I believed in myself and my work and knew something good would come of it all. The first offer of rep came from a combination of contest and query. I was chosen to be on Team Brenda for the first annual Writer’s Voice contest. You know Brenda Drake, contest queen extraordinaire? She loved my story, and loved my voice. That seriously gave me the confidence I needed at that point, cause the query trenches can be merciless. Now, when I say I understand how the contest world can be just as heartbreaking, I mean I truly understand. My story was chosen, but I got no requests. Zero. Zip. But Brenda believed in my manuscript and passed it on to a few folks she had connections with. In the end, it landed in the hands of my previous agent, who loved it and reached out to offer rep. I worked with that agent for about a year before she left the business to pursue her own writing. At that point, I had a new manuscript I had written ready to go so I dove back into the trenches. By the way, I drafted that new manuscript while I was querying the first one. If I had not kept writing, I would have had no path to take after my agent and I parted ways. So, while I was querying, and entering the second story in contests–it did much better than my first–I wrote a third story. Got it polished up, starting querying and entering it. That third story is what caught the attention of my current agent. She was participating in a contest for a client and I submitted my story to her. She got to see the full query instead of a pitch, so I landed her with a sort of query/contest hybrid. The rest, as they say, is history. NP. Brenda Drake dubbed you ‘the Pitch Whisperer’! That is high praise. What do you think makes you so good at separating out great pitches from the so-so ones? EM. It’s not necessarily that I can easily separate great pitches, it’s that I can help compose them on the fly. I love writing pitches, queries, jacket blurbs, etc. As long as it’s for other people. Cruel irony. A great pitch presents the main character and their goal, gives us an obstacle or enemy the MC must overcome to reach said goal, and something MC will have to give up in order to attain the goal. Brenda has an awesome formula on her website, should check that out. NP. You are also a Pitch Wars mentor this year. Can you explain what that is? Feel free to give a shout out to your team. EM. Essentially, I selected a writer and her story, and I get to guide her through revisions and edits in order to polish the manuscript to be presented to agents. And yes, I GET to help her. It’s an honor to be a mentor, that someone is willing to trust you with their hard work. I’m humbled by the opportunity, and excited to help take an awesome story to the next level. Shout out to Team Catalytic Chaos! NP. When would you recommend that aspiring authors jump into online pitch contests? Do you have a favorite for someone who is up and coming? EM. As soon as possible. Not as soon as you finish the first draft, but once you’ve polished, re-polished, and polished summore. Just like with querying, you don’t wanna dive in too soon, or before the story is “ready.” My personally recommendation is not before the fourth draft. EM. YUSSSS!!!! Pacific Rim. Oh, my gawd, that movie. Gundams. Mmph. Okay, reeling it in. It would be awesome if I could write a Pacific Rim sequel. Or prequel. I’d love to write something for Word of Warcraft, or maybe Gargoyles. Hell, most of the shoes I loved watching that were cancelled prematurely. OH! Young Justice! Yaaaaaaaaassssss. Batman Beyond. So many! I can’t pick. NP. I know you’ve been to DragonCon (great cosplay!). Have you attended other fan or writer conferences? What was your favorite? EM. I’ve attended Planet Comic Con, KC Comic Con, Naka-Con, about a billion cons when I lived in Orlando. I will have to say that DragonCon is probably my favorite simply because of the size and scope. I hardly attend any of the sessions, mostly wander around taking pictures of all of the awesome costumes, attending the contests, watching anime, playing Cards Against Humanity and Werewolf. I didn’t get to go this year… *sniff* Bawt! I will be there next year! NP. So many people have found success through online pitch opportunities. Do you have a favorite story of Pitching Success? EM. All success stories are my favorites, though I will say I’m particularly fond of the ones that come out of Pitch Slam, or that I help in some way. Whether I offered feedback on a pitch, helped edit a query letter, anything, the best part about all of this is helping each other. Lift as you climb, we’re all in this together. NP. Tell me about your upcoming book! EM. Keep going. Seriously. I’m not kidding when I said I’ve entered hundreds of contests. Perseverance separates the published from the unpublished. And keep writing. If I had stopped after the first story, I would not have gotten to the one that snagged the attention of my current agent. Same with if I had stopped after that second story. If I had not kept going, kept writing, I have no idea where I would be in my life right now, let alone my career. Writing is such a huge part of who I am, I’m fairly certain I wouldn’t be the same person answering these questions if I had thrown in the towel. Writing is, by nature, a lonely undertaking, fraught with negativity. There are so many No’s, but it only takes one Yes. And the No’s cannot in ANY way prevent the Yes from happening. Only you have control over that. When your self-doubt starts to pick at your confidence, tell it to shut the hell up, cause you’re busy being awesome. Again, thanks for letting me do the interview! NP. No THANK YOU Elle! It is all about writers helping writers. Keep at it! Elle lives the single life in Kansas City, surrounded by more nieces and nephews than she knows what to do with. She spends her weekends watching Saturday morning cartoons and defending her crown as the Mario Kart queen. When she’s pretending to be a grownup, she plays the part of freelance writer, published poet, and an active member of the writing community via social media outlets (which is a fancy way of saying she’s addicted to Twitter). She also enjoys long walks on the beach, piña coladas, and getting caught in the rain. Links to a few of those social media outlets can be found below. Links to many more can be found on her website. Why you should be planning your 2016 Conference Schedule NOW! So September is almost over, and I have been looking at my writing calendar for the rest of the year. I have queries out to Agents, a novel MS in line edits, one short story ready for submission and another in progress, and of course my next novel length WIP underway. Oh and I am working on this blog, building my author platform and beta reading for four other writers. And I need to sleep and eat sometimes too. I feel like if I blink, 2016 will be here and I won’t have finished much. Of course that is the wrong attitude, just because I haven’t finished doesn’t mean I haven’t accomplished much. With all of these big audacious goals, I need a plan. 2015, was a good year for me. I planned to attend 2 writer’s conferences and to get my current novel to a point where is ready for submission. I made it to the NY Pitch Conference and the Writer’s Digest Annual Conference. Both were great conferences. I am also going to NY Comic Con this year with my son, purely as a fan. You’ll notice I picked three conferences in New York City. I am lucky in that I live in New Jersey, so I can save some cost on NYC Conferences by commuting in and out of the city on event days. I still have the cost of the conference itself and the time away from work and family, but I figure the savings in travel cost allows me to get to one additional conference a year. An event where I can learn skills to improve my craft as a writer. An event where I can network with other writers in speculative fiction (science fiction, fantasy or horror). An event where I can pitch my new projects (assuming I don’t have representation yet). An event where I can improve my author platform by speaking on a panel, or giving a workshop. An event where I can learn more about the publishing world and network with publishing professionals. You’ll notice I said ‘events’ not ‘conferences’. This is an important distinction for me as one Conference might capture more than one of those events. There are also other opportunities online to do one or more of these things, if I can’t attend a conference. For me personally, live conferences are the best opportunity. They have a few distinct advantages over other types of events. I have to make a time and financial commitment long before the conference occurs. This forces me to budget my time both to prepare for the conference and for the event itself. If I’ve paid a lot of money to go and focus on my writing, I am far less inclined to let other things distract me from my goals for that event. I spend time with my tribe. Writing can be very lonely, and going to conferences I get to spend time with other writers. It is great fun to find a diverse array of people who are all committed to writing. I am always thrilled to let my geek flag fly full mast and dig deep on great writing, amazing books and the people who craft them. There are things that you can only learn by being there. If you are a sports fan (like me) you certainly know it is a different experience to watch a game on TV than it is to go to a live event. Writer’s conferences can be like that. Listening to a great writer get choked up over their own words, or seeing the passion an Agent has for an Author they represent is a special experience. Those moments stoke the fire in my own belly and can keep me going for months to come. You will build a network beyond what you might expect. I have made amazing friends at writer’s conferences. While this can be a somewhat intangible goal, I can’t express enough how valuable it has been for me. Making those connections beyond just craft feeds my soul. Sounds great, right? But it is only September, why do I need to plan now? I can start to look at these events at the start of the new year. That is what resolutions are for! 3-4 Conferences is potentially 3-4 weekends away from home and perhaps a few days off work. Maybe I can plan one of these to align with a family vacation, or work travel. Either way I need to get things lined up with work and home schedules. Conferences are not cheap. I need to build a budget that captures all the costs of going. (look for a future blog post on budgeting for a conference). If I plan ahead I can make sure I get the best deals on registration and travel. Do I need to sign up early for a Pitch Slam, or apply early for Private Appointment? Even if I am not sure I will be ready to pitch I want to make sure I get the opportunity. What about the other fun stuff? Is there an author I want to meet who is going to do a book signing there? Are some of my other writer friends going? I realize this is all months and months away, but so is the publication of my current book and probably yours (fingers and toes crossed). Even if you are a pantser, you should start thinking about your conference plan for next year. Do you need help figuring out where to start? My suggestion is that you make your own list of events you want to attend and then take a look my Pitching Opportunities page for information on upcoming conferences and pitch events. If there is a Conference that you are thinking about attending that isn’t on my list, please let me know.